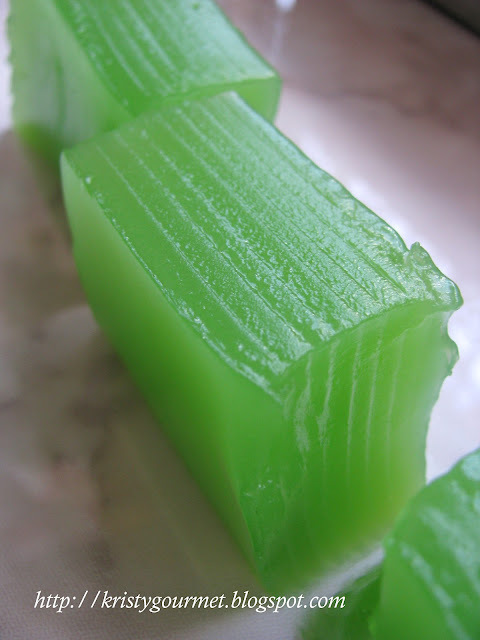 This kind of pastry is also called as 'Teochew Mooncake' or 'Thousands Layer Pastry'. 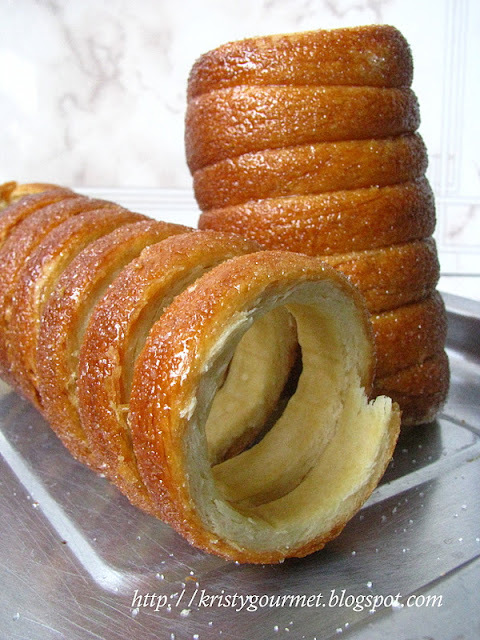 As you can clearly see from this picture layer by layer the pastry are formed, such a fantastic artwork in bakery. And that is how the name 'Thousands Layer Pastry' was formed! Believe it or not? I'm made all these....ho ho ho.....Jolly good! - rub shortening with flour and sugar. 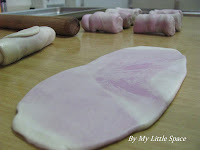 - add in water and mix till form a soft dough. - divide into 10 portion (about 30gm per dough), leave aside. 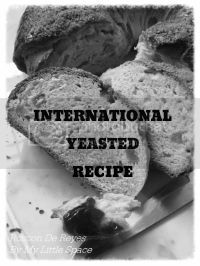 - mix ingredients together to form a soft dough. - add in colouring as desired. - divide into 10 portion (about 25gm per dough). - wrap ingredient (B) into (A) and seal well. 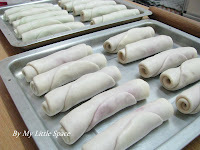 - roll flat the dough into oval shape. - then roll up like Swiss roll, cover with a sheet of foil. - leave aside for 30mins. - roll flat again and brush on a little water. 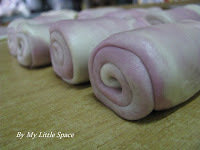 - again, roll up like Swiss roll.
. - cut into 3 portion, surface reveals the spiral layer. 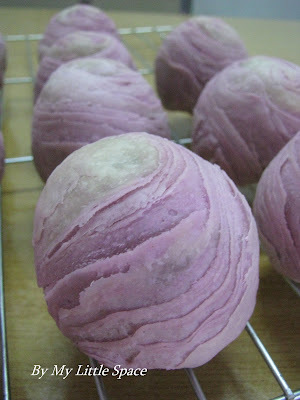 - flatten the dough by rolling into round shape. 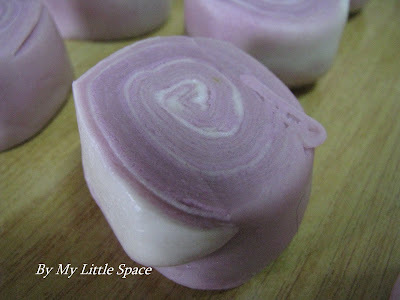 - place in the filling (30gm yam paste), gather the outer edges of the dough circle and wrap up the filling. - place them onto a baking tray, bake for 20min at 185'c. - leave cool on the wire rack. Yeap, I'm made these! All of them! 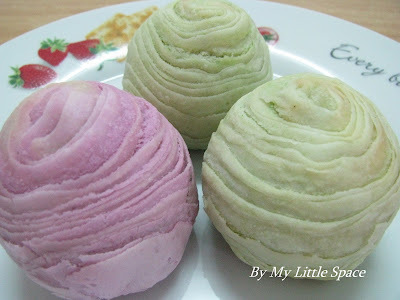 I have yam paste in the purple colour pastry and pandan lotus paste in the green colour pastry. Now, this is my piece of artwork that I'm going to frame up....ha ha! Of coz, it's not as beautiful as Mona lisa! ha ha ha...... But it's MINE for sure! Oh my goodness, these are so creative! 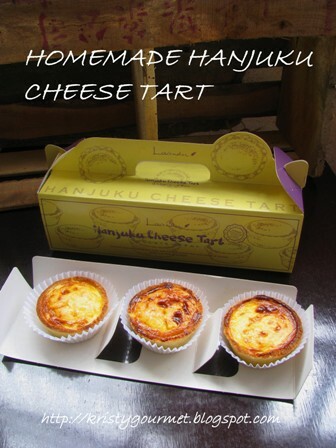 I just love it when I see different types of pastries from around the world. Well done! Well yes, you should frame it .. like a live art piece that can be ...eaten! Absolutely beautiful. I saw someone else made these, but they weren't as pretty or as colourful as your ones. I love those small Chinese pastry too. Yours look absolutely fantastic. The colors are so soft and the layers amazing. You are one talented chef. Yes, you are an artist. What beautiful pastry you make. I would love to see your studio...er kitchen! This is beautiful. Good Job! Diana : Thank you for spending time to visit my blog. You're a very busy mom and is glad to hear from you. H/Housewife : Thank you, dear...for your kind words! Really appreciate it. Thanks again. Alison : So very nice to hear from you and thank you so much for your nice comment. 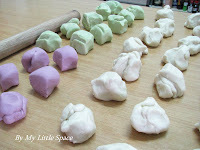 Angie : Have you made any of these already on this mid-autumn? Barbara : Thank you so much for your extremely nice comment. Really appreciate it! Thank you. Anncoo : Thank you very much, Ann! Cheers & Have a wonderful weekend everyone! Wow! You are a good cook. This is my favourite moon cake. I usually buy those added with egg yolk. FnTravella : Thank you very much for your comment and wishing you Happy Mooncake Festival. Cheers. The layers and flakiness look terrific! These are so pretty!! They look amazing! 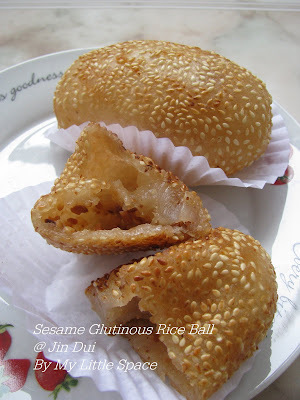 P/Nyonya : Hi there, thanks and wish you have a Happy Mooncake Festival! Those colors are exquisite. I hope you enjoy the festival. That's very impressive but a lot of work. But you love doing these so I know you're enjoying it. Mary : Thank you very much and I will enjoy myself! Selba : Glad to hear that you're alright! God bless you and thank you. Looks so pretty but so much work too. Let me dream first. 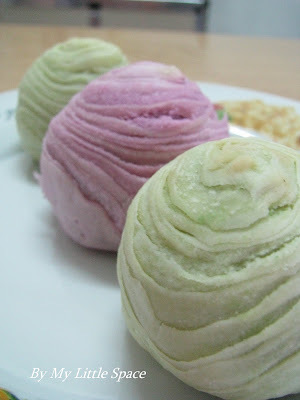 I have to try out one fine day with all the different colours eventhough Mooncake Festival is already over. The skin is one thing which I can manage but the filling....oh my gosh....is a lot of work to prepare. Do I still want to eat?....haha. I better look for you!! is the shortening you used butter or oil? So sorry for the late reply. Just found out your comment! 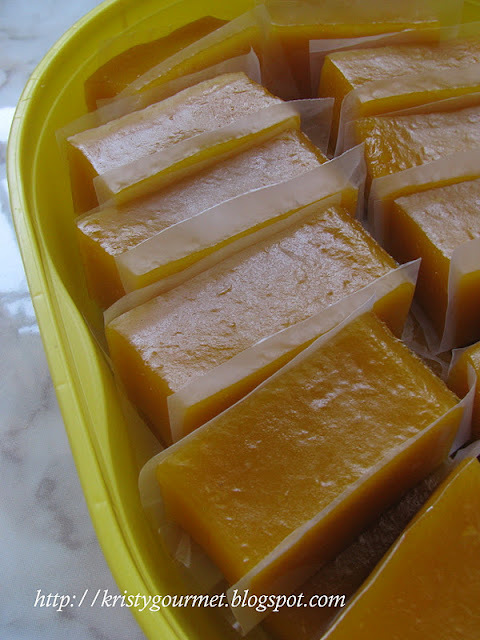 Shortening is vegetarian lard(in butter form). Thank you for stopping by and hope to hear from you often. Cheers. Thanks for the reply back. They really are beautiful! Wow! I'm very impressed. You're an amazing baker. First of all, thanks for stopping by to my humble little space. 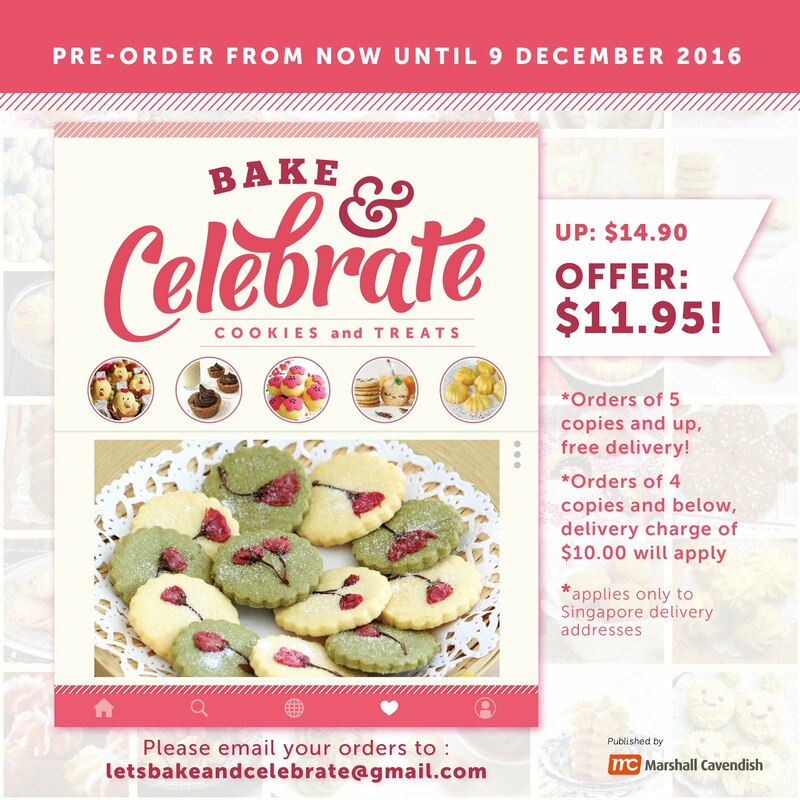 And to your question, you can get those shortening at any bakery shop retailer or supermarket if you're living around the region. Otherwise, you have to shop at the site... CRISCO shortening. Environment Friendly Product & Giveaway!